Lasker's Chess Magazine, OCLC 5002324, 1904–1907. Lasker's Manual of Chess, 1925, is as famous in chess circles for its philosophical tone as for its content. Lehrbuch des Schachspiels, 1926 — English version Lasker's Manual of Chess published in 1927. 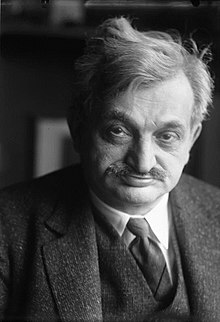 ^ " Emanuel Lasker's Manual of Chess is the most expressly philosophical chess book ever written" Shibut, M. Modern Chess Anarchy?. [2008-11-21]. （原始内容存档于2008-12-03）. ^ I matches 1880/99. La grande storia degli scacchi. [2008-05-29]. ^ I matches 1900/14. La grande storia degli scacchi. [2008-05-29]. ^ I matches 1915/29. La grande storia degli scacchi. [2008-05-29]. ^ Select the "Career details" option at Jeff Sonas. Chessmetrics Player Profile: Emanuel Lasker (career details). Chessmetrics.com. [2008-05-30]. Chernev, Irving. Twelve Great Chess Players and Their Best Games. Dover. 1995. ISBN 0-486-28674-6. Kasparov, Garry. My Great Predecessors, part I. Everyman Chess. 2003. ISBN 1-85744-330-6. Soltis, Andrew. Why Lasker Matters. Batsford. 2005. Whyld, Ken. The Collected Games of Emanuel Lasker. The Chess Player. 1998. Winter, Edward. World chess champions. Oxford. 1981. ISBN 0-08-024094-1. About Lasca — a little-known abstract game. Human–Computer Interface Research. （原始内容存档于2008-05-09）. Hans Kmoch. Grandmasters I have known (PDF). ChessCafe.com. Tryfon Gavriel, Janet Edwardson. 伊曼紐·拉斯克生評傳記. Barnet chess club. （原始内容存档于2008-05-16）.